Did President Taft once get stuck in a bathtub? 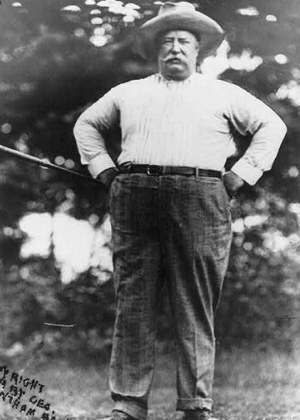 William Howard Taft, 27th President of the United States (1909-1913), was a large man. He reportedly weighed 355 pounds while in office, and according to rumor, he was so large that he once got stuck in the white house bathtub. The experience supposedly so rattled him that he ordered the installation of an extra-large tub big enough to hold four ordinary men. The story of him getting stuck in a tub has been frequently repeated in books and newspapers, but is there any truth to the tale? Constitution Daily recently investigated the rumor, scouring through newspaper archives, documents from the National Archives, and Taft biographies, and concluded that "the entire 'stuck in a tub' story appears to be pretty leaky." There are no primary sources or first-hand witnesses who can confirm that such an incident occurred. What is true is that Taft had some extra-large bathtubs made for him. One was installed on the U.S.S. North Carolina in 1908. A second extra-large tub was installed on the presidential yacht Mayflower in 1910. From what I gather, these tubs were extra-large partially to accomodate his size, and partially because they were built with high sides to prevent water from sloshing out while at sea. 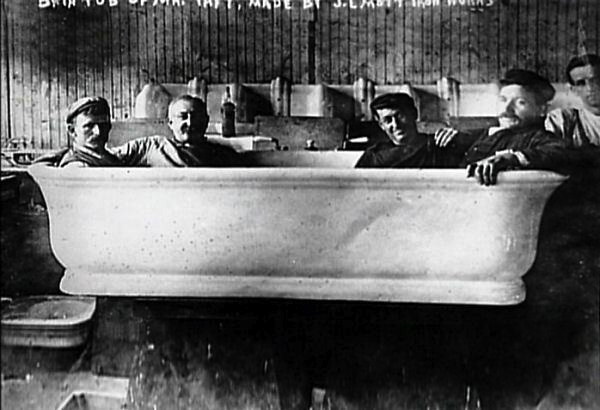 A picture was taken of four workers sitting in the North Carolina tub. This picture may have been one source of the 'stuck in a tub' rumor. But Constitution Daily also notes that "Roosevelt's supporters made fun of Taft's weight in the bitter 1912 election. The story could have grown from there." Enjoying the new posts on your site.. heard this story for years in supposed history "fun fact" books, etc. Keep up the great work!